Public services in disarray, staff traumatised and the economy on the slide. 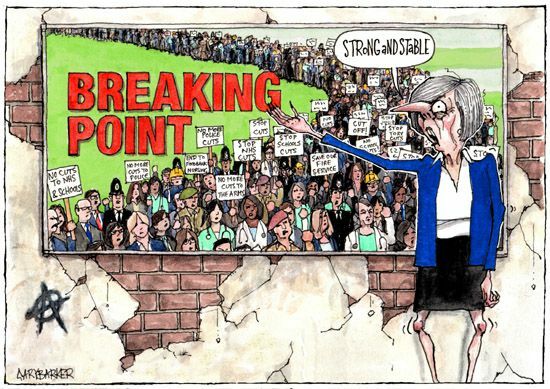 Bbreaking Point isn't the fault of the EU it is the fault of 40 years of right wing economic and social ideology in the UK. The country seriously needs a realignment to the true political centre ground and away from the extremism that is now rife in Government and the media that knocks on to incite extrem views among many normally oridinary decent people.